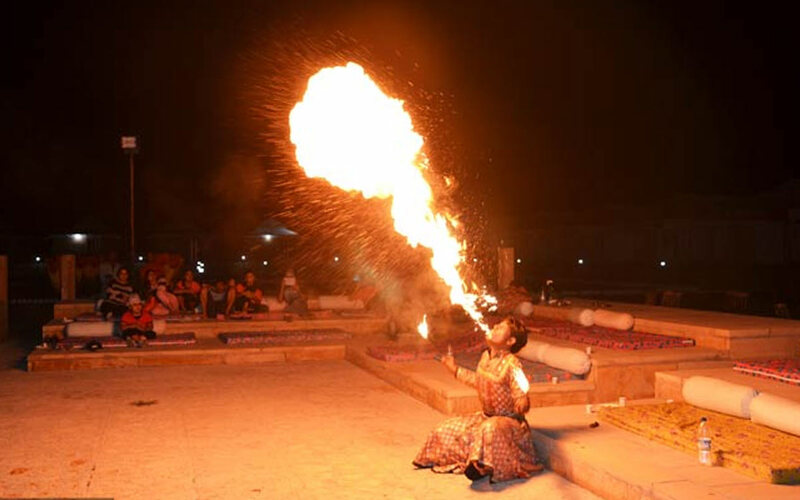 Spending an evening at Dubai Evening Safari is a wonderful experience where you can capture all moments in your camera. The trip is awesome with dazzling sun. During this dune drive you stop on some wonderful locations to take pictures of golden scenery. At arrival at desert camp you get a chance to camel ride, or can make sketches/designs on your hands. Not this here you will also enjoy a sand boarding. The thrill doesn't end here, at night you will be served with yummy B.B.Q Dinner. 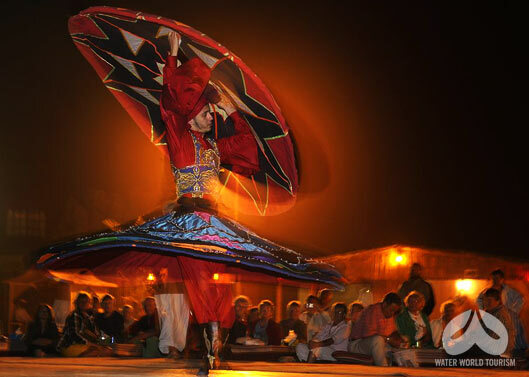 After this all excitement a special belly dance Tanura and Fire Shows are performed by professional Artists.The adventurous trip begins in afternoon; we pick you from your located place and take you to the Evening Desert Safari. 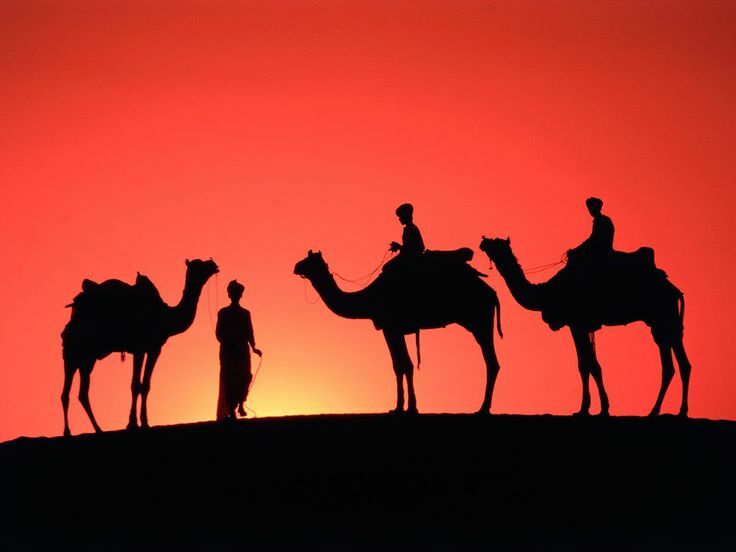 Make a special journey of Desert Safari. 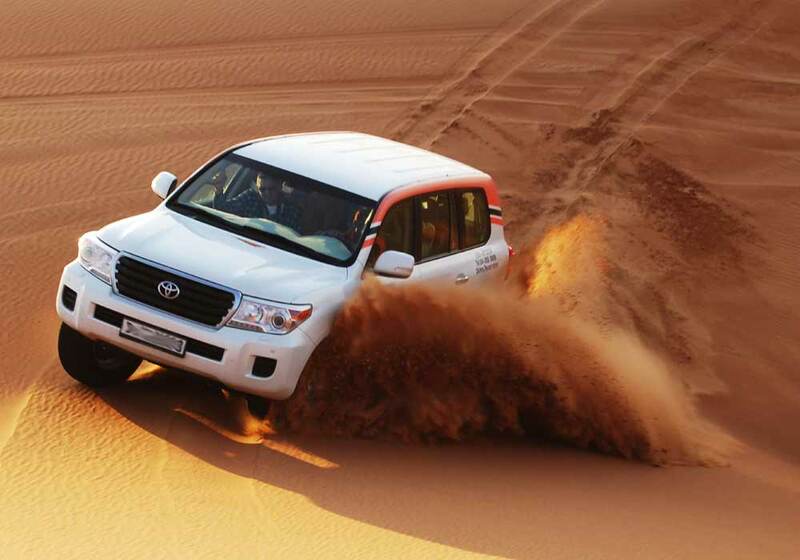 We assure you that each moment will enrich with adventurous thrill.We have expert desert drivers who will take you through Lahbab Desert (Red Dunes) in 4x4. Moreover, the air-conditioned vehicles are luxurious with all facilities such as first-aid box, roll bars and seat belts. Six passengers can sit in safari vehicle. Guests must fasten seat belts during Dubai Dessert Tour. - Fragrant Sheesha (Arabian Waterpipe). Transfer option is available for this Tour activity on Sharing and Private Basis. depending on traffic conditions and your location. not recommended for Desert Safari tour.